The Easyrig Vario 5 gives you the same advantages as other Easyrig models with the added benefit of being able to adjust the line tension to adapt to many different cameras and configurations. The Easyrig Vario 5 still delivers the same steady hand held shots while relieving strain on your back, neck and shoulders. 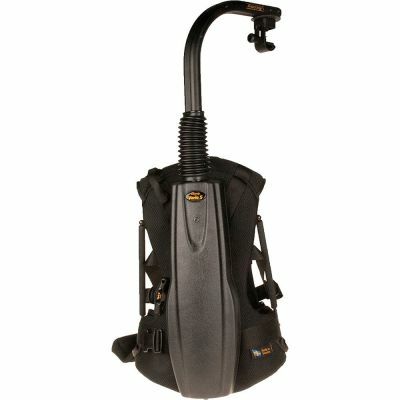 The load is redistributed to the hips allowing you to shoot hand held in comfort for hours. Suspension line length: 90 cm (35 in) when fully stretched.